FIR against Asha Kumari by lady constable after Thappad Kand| Who is wrong? Congress party was not even able to find reasons of loss in Himachal pradesh yet but they are facing one more issue of slap fight between Dalhousie MLA, AICC secretary and senior congress leader Asha Kumari and Himachal Pradesh police constable Rajwanti. Earlier Police constable lodged FIR against member of Legislative assembly Asha kumari, and now yesterday Asha kumari also filed FIR against lady constable. This issue is not now small as everyone in state is talking about it and considering Lady constable as Lady Singham. State chief minister Jai Ram Thakur and Congress president Rahul Gandhi also comment on this issue. This controversy started when Congress leader and MLA from Dalhousie Asha kumari slapped Lady constable Rajwanti and she also responded in same manner and slapped Asha kumari. 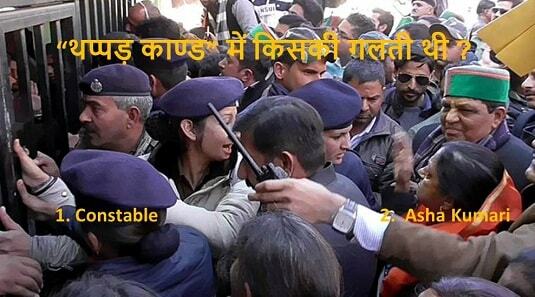 Lady constable was on duty during Rahul Gandhi visit to Himachal Pradesh. Lady constable Rajwanti was stopping ladies to enter inside as she was ordered by her senior person. She said in a interview that she was not aware whom she stopping. Angry MLA Asha kumari said in public Place that "Tum Janti ho, main kaun hu ?". Lady constable and her colleague didn't allowed anyone to enter inside. Asha kumari became angry and slapped young lady constable. In response she also slapped MLA. Lady constable of Himachal pradesh police Rajwanti said she was not aware about MLA Asha kumari. She said she and her team were ordered to stop everyone to go inside as Rahul Gandhi was present inside. She said we were ordered to stop everyone as SP and senior officer were checking passes and they were allowing only people with passes. Rajwanti also added she was not aware about MLA Asha kumari and said I was on duty and we follow orders whatever senior orders. Rajwanti lodged FIR in Sadar Police station on same day after this controversy and she said she was hurt with this incident and this was a real shock for her self respect. Asha Kumari lodged FIR yesterday and written in FIR, " One woman constable restrained me from entering the Congress Bhawan yesterday. She slapped me repeatedly and threatened me of dire consequences,” wrote Asha in her complaint lodged. She further went on to add that the cop hurled abuses at her and also used filthy language". After this whole controversy lady constable said she is getting threat from unknown caller regarding this matter but she will not back-step as her self respect is broken with this incident. Rahul gandhi on same day of controversy said that he is very hurted with this incident. He said clearly that he is hurted with behavior of Asha kumari. Rahul added that we are because of people and for people. Himachal pradesh chief minister said in delhi after this incident that culprit will be punished. He ordered for to check whole matter. Who is Asha Kumari ? Rajwanti is constable in Himachal Pradesh Police. She is also a boxing champion player. Rajwanti is popular player of Shimla district. 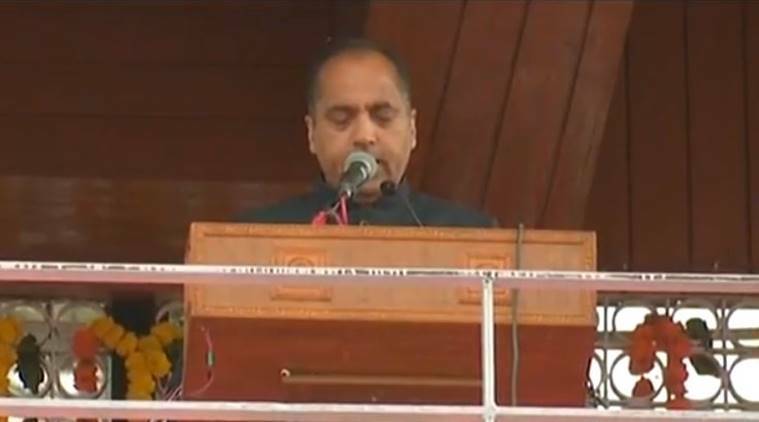 Finally after long wait Jai Ram Thakur MLA from Seraj assembly constituency takes oath at The Ridge Shimla in presence of Several big leaders like PM Narendra Modi, Amit Shah and Rajnath Singh etc. There are several ministers who took oath as ministers of cabinet in Jai Ram Thakur government. Who is present on stage ? Jai Ram Thakur took oath as new chief minister of Himachal Pradesh in presence of several big leaders of BJP and NDA. Prime minister Narendra Modi, Amit Shah, Rajnath Singh , Health minister JP Nadda, Shanta Kumar , Prem Kumar Dhumal and several chief ministers, deputy chief ministers and former chief ministers are present on stage. These leaders took oath as new cabinet ministers . Out of these all Only Mahendra Thakur, Kishan kapoor and sarveen Chaudhary have experience of cabinet ministry before. 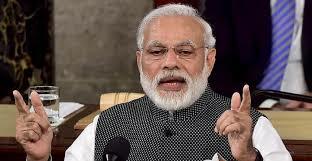 There are several leaders which were ignored by BJP and Jai Ram Thakur in his cabinet, some of them are leaders who were expected to get ministry some of them are former health minister Rajiv Bindal, agriculture minister Narendra Bragta and former food supplies and consumer affairs minister of Himachal Pradesh Ramesh Dhawala etc. Mahendra Singh Thakur elected continuously eighth time for assembly from Dharampur constituency. He served two times as a minister. Suresh Bhardwaj is senior leader of BJP and elected as MLA for 4th time from Shimla urban constituency. He also served as member of Parliament. Suresh Bhardwaj started his career at college level by joining ABVP. Kishan kapoor elected from Dharmshala constituency. He defeated Sudhir sharma of congress party. Kishan kapoor is one of the closest leader of former CM prem kumar Dhumal. This term will be his fifth as a member of legislative assembly. Anil sharma is son of former telecom minister Sukh Ram and was in congress party before this election. Anil Sharma elected from Mandi constituency seat. He is father in law of salman khan's sister Arpita. Sarveen Chaudhary took oath as cabinet minister. He won from shahpur seat of Kangra district. He served as cabinet minister from 2008-2012 also under leadership of Prem kumar dhumal. Ram Lal Markanda took swear as cabinet minister, he won for third time from Spiti. He is PH.D and elected as MLA from ST quota. Virendra Kanwar elected from kutlehad constituency of Una district. He served as member of ABVP and RSS also. Vipin Parmar elected as MLA for third time and elected from Sulah constituency of Kangra district. Vikram singh took oath as cabinet minister and he is from jaswa-pragpur seat of Kangra district. He hs been elected for third time and in year 2000 he also served as BJYM president. Govind thakur took oath in Sanskrit language. He won from Manali seat of Kullu manali district. Govind singh thakur elected for 3rd time from Manali. His father was also minister in Himachal pradesh government. Rajeev Saijal is dosctor by profession and comes from SC quota. He won from Kasauli seat and now he will serve as cabinet minister. Himachal Pradesh elections result was over on 18th December but people were eagerly waiting for new chief minister of Hiamchali's Pradesh. Finally Jai Ram Thakur elected as chief minister of Himachal Pradesh. There several names who were on frontrunners for post of CM. These names were JP Nadda, Anurag Thakur, Jai Ram Thakur, Rajiv Bindal and also Suresh Bhardwaj. But leaving all behind MLA from Mandi District and thakur face of Himachal Pradesh Jai Ram Thakur become chief minister. In Himachal Pradesh twist came after defeat of BJP CM Candidate Prem Kumar Dhumal. Prem Kumar Dhumal was declared as chief minister Candidate by BJP president Amit Shah. But he lost from Sujanpur seat where he was against Rajinder Rana of congress party. After him there was Satpal Satti who also loose against his rival from Una constituency. This was shock for Bhartiya Janta party as they win 44 seats in buy lost seat of their own CM Candidate. After drama of one full week, riddle of Chief minister in state has been solved. Narendra Singh Tomar of BJP told media that ,Jai Ram Thakur will be chief minister of Himachal Pradesh . He said Prem Kumar Dhumal proposed name of Jai Ram Thakur whereas Shanta kumar and JP Nadda agreed on that. Jai Ram Thakur was first choice after defeat of Prem Kumar Dhumal as he has ministry experience and this is his fifth term as a member of legislative assembly. Why Jai Ram Thakur ? There is a strategy behind name selection of Jai Ram Thakur as chief minister. He belongs to Thakur community . In Himachal Pradesh Thakur community is in majority whereas JP Nadda is brahmin. Party wants to influence more voters of Thakur community. New elected chief minister of Himachal Pradesh, Jai ram Thakur said people of Himachal Pradesh was eagerly waiting for BJP government as we will work for expectations of people. He thanked Narendra Tomar, Nirmala sitaraman, Shanta Kumar, Hemant Pandey, Prem Kumar Dhumal and all MLA's for trusting him. He also thanked PM Narendra Modi and Party president Amit Shah. - Himachal BJP is divided in two groups. - One is Dhumal group and other is Shanta Kumar and JP Nadda group. - When BJP and Dhumal was in power they influenced all major decision in state as Satpal Satti BJP state president is because of Prem Kumar Dhumal. 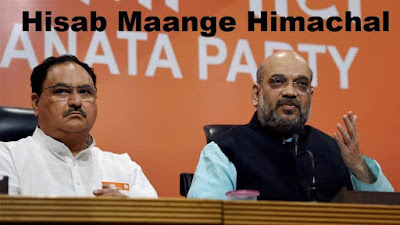 - This time JP Nadda was in power and he has good relation with Amit Shah , so he planned everything smartly and Prem Kumar Dhumal lost his seat. - Jai Ram Thakur is also from JP Nadda group and Sources said JP Nadda was main factor in deciding his name for chief minister. Himachal pradesh elections became interesting when some big leaders of BJP and Congress lost from their constituencies. BJP got big surprise as chief ministerial candidate of BJP Prem Kumar Dhumal lost his seat from Sujanpur seat.It was very known that sujanpur seat will not be easy for him as he used to fight from Hamirpur seat. But this time BJP changes candidates and asked PK dhumal to fight from Sujanpur seat. Here are some big leader of both parties BJP and Congress who faces upset in Himachal Pradesh election reults 2017. BJP chief minister candidate and two times Himachal pradesh chief minister Prem kumar Dhumal lost his seat in elections. He lost from Rajinder Rana by margin of around 3000 votes. Prem kumar dhumal was aware that this seat will not be easy for him as he used to fight from Hamirpur seat. 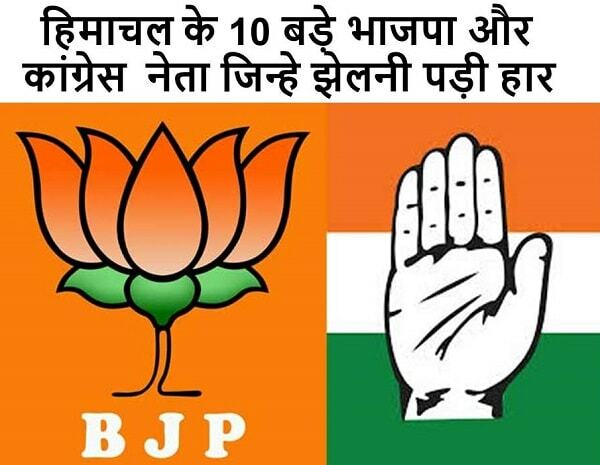 BJP state president Satpal Satti lost his seat from Una constituency as he lost from a 10th pass congress candidate Satpal singh Raizada. Satpal satti also lost by a margin of around 3000 votes. Satpal singh Raizada got more than 31,300 votes whereas Satpal satti got around 28,100 votes. GS bali former Transport minister and former MLA from Nagrota constituency also lost his election as Arun kumar of Bhartiya janta party won by a small margin of around 600 votes. GS Bali is big leader of himachal pradesh , as at one time he was in CM candidate race from congress party. So this can be called as big upset. Kaul singh thakur and former minister of congress party lost election from darang seat. Jawahar thakur of Bhartiya Janta party defeated former minister by more than 7000 votes. Kaul singh thakur got only 24851 votes whereas Jawahar thakur got 31392 votes. BJP senior leader and relative of Congress party leader Kaul singh thakur, Gulab singh thakur also lost from his Jigindernagar constituency by a big margin like Kaul singh thakur. Gulab Singh Thakur won by a margin of around 9000 votes. 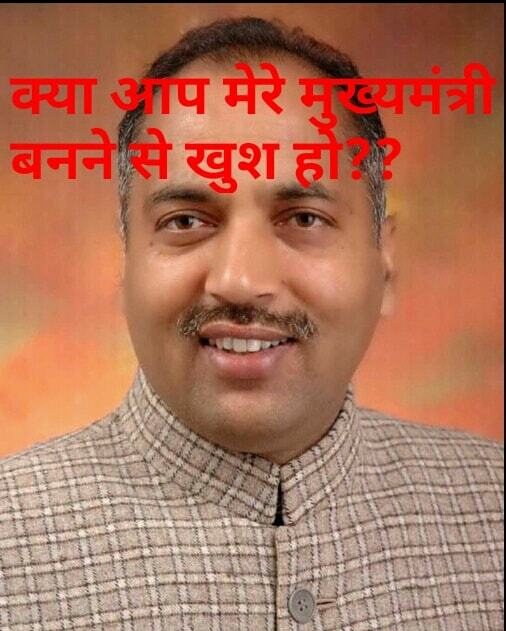 Prakash Rana of BJP defeated Gulab singh thakur. Prakash Rana got around 27887 votes. King of kullu and former MP Maheshwar singh was biggest upset of this election as he lost election from Congress leader Sunder singh thakur by a small margin of around 2000 votes. Sunder singh thakur got around 31423 votes whereas Maheshwar singh got around 29885 votes. Sudhir sharma a young dynamic leader of Dharamshala and most loyal leader of Virbhadra singh and congress party. He was considered as most safe in this seat. After earlier lead sudhir sharma lost from BJP leader kishan kapoor. Kishan kapoor defeated Sudhir sharma by a margin of around 3000 votes. Kishan kapoor of BJP got around 26050 votes, whereas Sudhir sharma got around 23053 votes. Daughter of Kaul Singh thakur Champa thakur also lost his Mandi seat. She lost from former congress leader Anil sharma. Anil sharma is son of former congress leader Sukh ram and both son and father joined BJP spme time ago. Anil sharma got votes around 31282 votes whereas champa thakur got only 21025 votes. Rajesh Dharmani and two times congress leader Rajesh Dharmani also lost election from Ghumarwin seat. He lost election against Rajinder Garg of Bhartiya Janta Party. Rajinder Garg got vote around 30009 whereas Rajesh dharmani got only 21561 votes. Former MLA and grandson of former chief minister Thakur Ram lal lost election from senior BJP leader Narendra Bragta by a margin of around 1000 votes only. Narendra Bragta got only 27466 votes whereas Rohit thakur got only 26404 votes. With these results of elections 2017 in Himachal Pradesh it can be said that People can upset anyone. No matter how big or small leader. Sarkaghat seat is on target of two congress leaders in upcoming HP Vidhan Sabha elections -2017 , one side it's dynamic youth leader, Former president of HP NSUI, Yadopati Thakur and other side 7 times member of Legislative assembly and former congress minister Rangeela Ram Rao. It will be interesting to see , how congress go in this election , with new face of Yadopati Thakur or with former minister, senior congress leader and seven time member of legislative assembly Rangeela Ram Rao. Yadopati Thakur is young leader of Congress party and one of the closest leader to Virbhadra Singh and Vikramditya Singh bushehr. - Yadopati Thakur is former president of Himachal Pradesh NSUI. - Yadopati Thakur is currently general secretary of state youth Congress. - Thakur is also national deligate of Indian national Congress. Rangeela Ram Rao is one of the most Senior leader in State congress . He served state as state minister for Excise and Taxation, health and agriculture. He born on April 3rd 1946 in Gopalpur, Mandi district Himachal Pradesh. - Vice president of Himachal Pradesh congress committee. - Member of co-ordination of HP congress & planning commission. - Served as Chief Parliamentary secretary of PWD and health. - In 1993 he was appointed as Cabinet minister for industries , law and parliamentary affairs. - Awarded with "Bharat Jyoti Award" in 2006. - Seven time member of legislative assembly. - Yadopati Thakur is young leader and have good relation with Vikramditya and Chief minister Virbhadra Singh. - Yadopati Thakur is a youth leader so majority of youth votes are with him. - According to Vikramditya Singh congress party going to give tickets to young leaders, so Yadopati fits in that. - Rangeela Ram Rao lost back to back two elections, So his possibility is quite high. - Congress supporters are looking for change in leadership, So Yadopati can get congress nomination for Sarkaghat Vidhansabha seat. * One big thing which is against Yadopati is lack of Experience. * Rangeela Ram Rao is one of the most senior leader and 7 time Member of Legislative Assembly. - Rangeela Ram Rao is senior most leader of Congress party. - He served as state cabinet minister for many times. - Rangeela Ram Rao have his own vote bank, and currently vice-president president of State congress committee. * If Party goes with youth candidates than he have to leave his seat. * He is loosing since 2002, so party can go with young leader Yadopati. Whoever will be nominated from congress party for this seat , will have to fight his own party member as well as BJP candidate Inder Singh. Inder Singh member of Legislative assembly of BJP will be trying to win in upcoming elections also. Inder singh is currently MLA from Sarkaghat seat. He is in Bhartiya Janta Party and from Village Nagravin of Tehsil Sarkaghat. He born in year 1944. 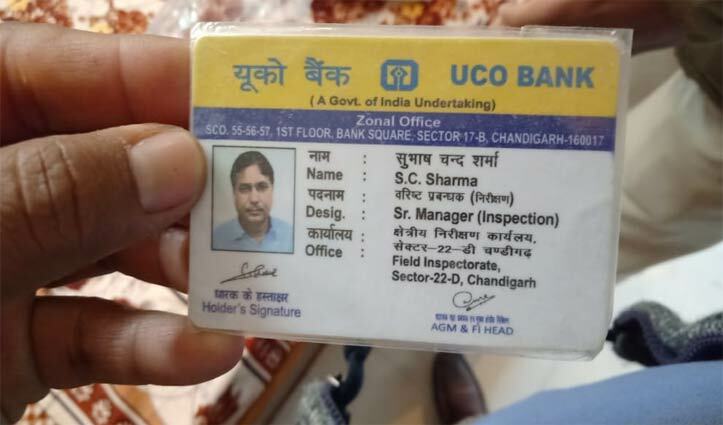 He is M. tech from IIT Delhi and retired from post of Radar Engineer. Inder Singh won by margin of around 2000 votes in 2012 elections . 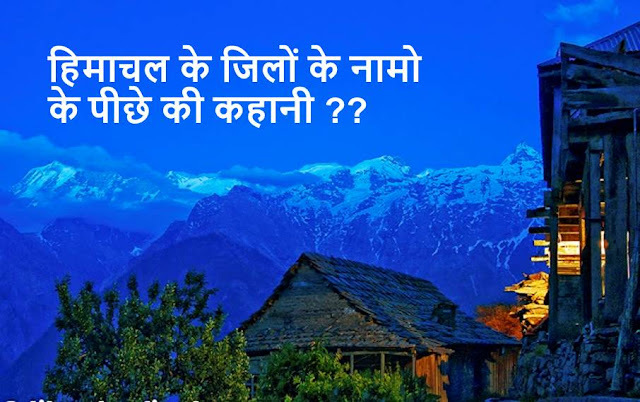 Himachal Pradesh is called as Dev Bhoomi but it is land of some dynamic leaders. 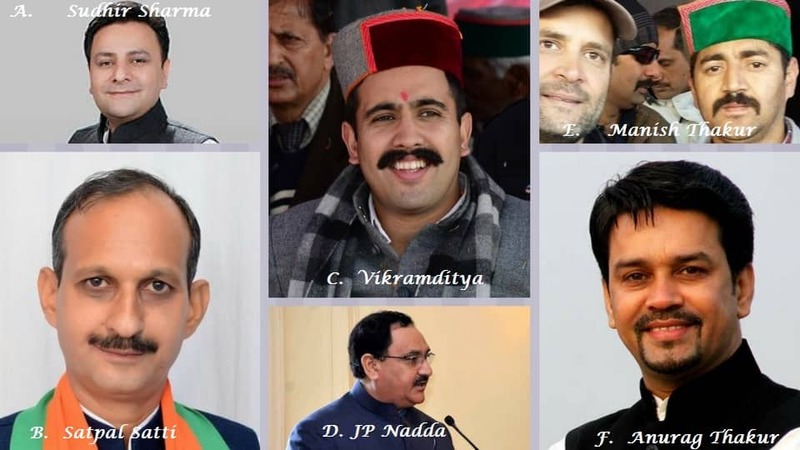 There are several youth leaders in Himachal Politics. In coming Himachal Pradesh Assembly Elections these leaders will try to their caliber and charisma. Young leaders in Himachal belongs to small villages, towns as well as poor family and some are from political dynasty. So here is detail information about these top dynamic leaders of H.P. Anurag Thakur is well known politician all over India as well as in World. He is son of Former chief minister of Himachal Pradesh, Prem Kumar Dhumal. Anurag Thakur started his career in cricket but soon he moved towards politics and joined his father and BJP and became Member of Parliament. He was elected third time MP in year 2014. He was also President of BCCI, Bhartiya Janta Yuva Morcha and also HPCA.Anuarg is considered as one of the best young leader in Country. Being as good speaker ,several times he has been seen talking on trending issues. Vikramaditya Singh Bushahr is Yuvraj of Himachal Pradesh congress. He got potitics from his father, and he is now active politician. Vikramaditya born in year 1989 and studied in Bishop Cotton School. Later he passed his BA from Hans Raj College, Delhi University. In Upcoming assembly elections its definite that vikramaditya will fight from any constituency. State urban development & Country Planning minister Sudhir Sharma is also one of the popular leader of himachal politics and his age is still 45 years. Sudhir Sharma belongs to Dharamshala constituency and first time he was elected as member of legislative assembly from Baijnath constituency. One of the best congress youth leader in himachal pradesh is Rohit Thakur from Jubbal Kothkhai constituency . Being a grandson of Former chief minister of Himachal Pradesh Sh. Ram Lal Thakur, Rohit Thakur started his political career from root level and fought against senior leader of BJP, Sh. Narendra Bragta from Jubbal Kothkhai constituency. He won election and was elected as chief parliamentary secretary in Virbhadra Singh government. Manish Thakur is one of the leader of congress party who have represented congress party at national level as he is secretary of Indian National Youth Congress. He belongs to Rohru constituency from where CM virbhadra singh was elected several times. Manish Thakur started his political career from base level of school and college. In this coming election of state, surely he will fight from any constituency, perhaps paonta sahib as he is working from last many months in this area. Young leader of BJP and state BJP president Satpal satti is only 53 years old and belongs to Una constituency. In last elections he won only with a margin of around 4000. He is good speaker and one of the best young leader after Anurag Thakur in Himachal Pradesh Bhartiya Janta Party. Expected CM Candidate of BJP Jagat Prakash Nadda is currently health minister in Modi Government and is expected soon he will come in state politics because of his good image. He was first time elected for HP assembly in year 1993 and 1998. He is one of the big competitor for PK Dhumal for Chief minister candidate. JP nadda is only 56 years old and one of the top leader of BJP in state as well as in central government. Yadopati Thakur is also young NSUI & congress leader of himachal pradesh who is looking to show his presence in upcoming elections of HP Assembly 2017. Yadopati Thakur is member of Indian National congress and former president of state NSUI. He belongs to Sarkaghat, Mandi District. Yadopati is main member of Vikramaditya's team in state and it is expected , this time he will be candidate of congress party from his own constituency. This will be interesting to see how these politicians will work for their party and themselves in coming elections. Special focus will be on Vikrmaditya & Manish Thakur as they will be facing election at big level for the first time. Whereas for Rohit thakur it will be difficult task to stop Narendra Bragta this time. Himachal Pradesh Assembly elections 2017 is in interesting phase as both congress and BJP are trying to make balance within party as both parties are looking to avoid party infighting. State Bhartiya Janta Party done with their internal surveys, so they have decided to be in wait and watch policy. As BJP is not ready to reveal list of candidates in state. According to sources BJP is witing for the time of code of conduct in state and they are hoping to capture Congressman after infighting in state government. Central parliamentry committee will take final decision on candidates for assembly elections in 2017. BJP is looking to go with same formula as they did in previous elections like Maharashtra, Assam, Haryana and Jharkhand etc. where CM was elected after election. JP Nadda & Prof. Prem Kumar Dhumal are main contenders for Chief minister candidate post of BJP. So BJP is not in mood to give chance of infighting. Nadda remains Shah’s favorite for the CM’s post, but party’s leadership fear that the transition may not be as smooth as they want it to be. Prem Kumar Dhumal & his son Anurag Thakur are main competitor of Jagat Prakash Nadda in state for Chief ministerial candidate post. State BJP is waiting for final list but according to central policy BJP is not ready to finalize list as they are fear of fight within party as there are more than 4-5 candidates on each assembly seat. BJP is not going to do same mistake what they did in 2012 when they finalise ist before code of conduct and lost election. This time Bhartiya Janta Party have marked constituencies where party infighting can take place. 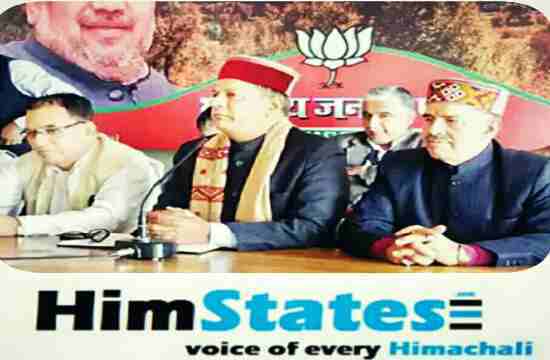 Himachal Pradesh BJP President Satpal Satti said process of candidates selection have own procedure, and after that candidates will be declared. He said central parliamentary committee will decide names but election campaign is more important. From 12th September Himachal BJP is going to launch campaign against State government and Campaign is named as Hisab Mange Himachal. 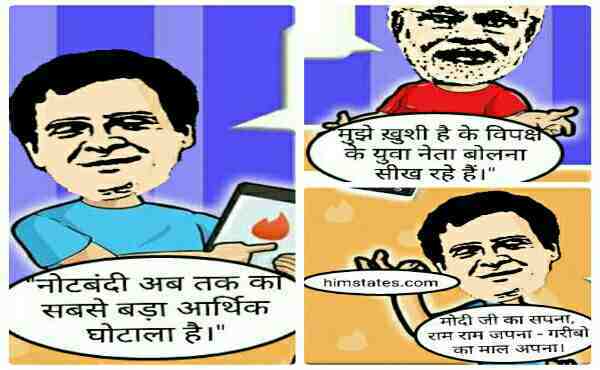 To ensure the reach of this campaign to maximum voters, the party would be using social networking sites like Facebook, Twitter, Instagram and YouTube. Four central leaders will do press conference between 12 to 20 September. 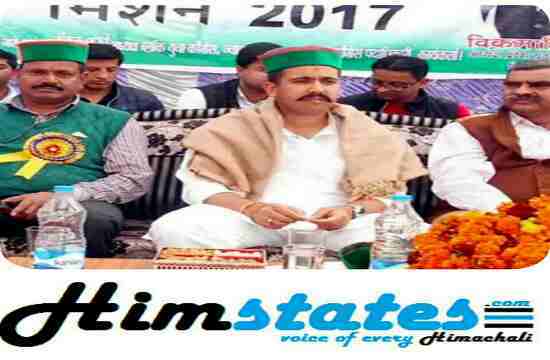 Satpal Satti, State BJP President said that a massive campaign will be launched against state government to spread message of campaign. As elections are coming closer in state politics have been started at highest level. This time politics is from state bhartiya Janta party. Bjp had meeting in Deepkamal (office of bjp) with Shimla and Mahasu district leader and workers, regarding chargesheet against state youth congress president and Son of chief minister, Vikramaditya singh bushehar and MLA of former constituency of Virbhadra Singh , Mohan Lal Brakta. In meeting one another name was discussed for charge sheet and that was corporation chairman. Bjp leaders in Meeting in Deepkamal to discuss chargesheet? Chief spokesman and member of chargesheet - Dr. Rajeev Bindal, Ganesh dutt , Sanjay sood, Ajay Shyan etc. In this meeting former co-operative President and former MLA from Rohru Khushi ram Balnahata was also present. Mahasu and shimla district bjp leader said that there are several scams by state government in different field and they will file chargesheet in different districts. Bjp leaders said there is scam of lakhs in tenders given to remove snow in Rohru - Jubbal -kothkhai road. They said there are some areas which were snowless but payment was given to them. Dr. Rajeev Bindal spokesman of state bjp said that work of tiring took place on rohru Jubbal kothkhai and Theog road as well as shimla rural area and chopal constituency but this tiring couldn't resist of even 2-3 months. Remember in last visit of CM in rohru , he was so angry on MLA Rohru Mohan Lal Brakta and PWD department. Shimla Bjp said illegal mining is going in shimla rural area without any interruption. Bjp blamed congress and said that college in shimla rural was shifted to building made by a congress leader at a monthly fare of 70,000 Rs. They also rises issue of Nerva where government offices were shifted to 5 stories building made by a Hpmc officer and blamed that he have acquired government land. [next] State youth congress president Vikramaditya singh was in Jawalamukhi with Yadupati Thakur, neeraj bharti ,Ajay Nahan and Kewal Pathania etc. 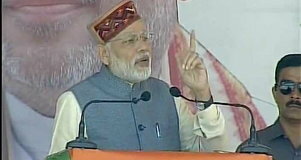 He said in Jawalamukhi Himachal pradesh that state BJP is dreaming to make government in Himachal and also said on Monetisation that central government's dream of good days suffered people. [/next] [next] He said bjp is continuously talking about elections and dreaming to make government in state. 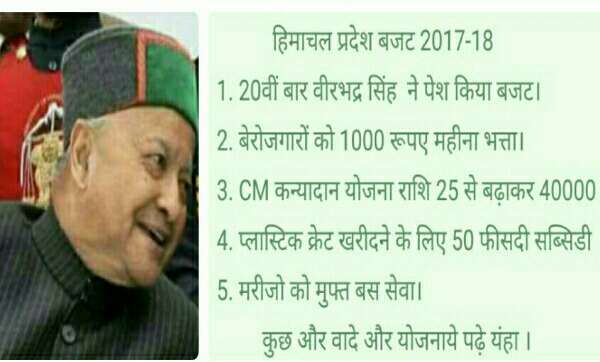 Vikramaditya singh said that state chief minister Virbhadra Singh have supported demonization by central government without any condition, and this shows his views against black money. Everytime sate government have supported central government's schemes, supported Modi on demonization, surgical strike but state bjp is always on top level of politics against CM and his family. It will be interesting to see how things turns before Himachal pradesh election 2017. 28-02-2017 Car accident took in Bashla/Arhal village near Rohru Tehsil in Shimla district yesterday at 7 pm. 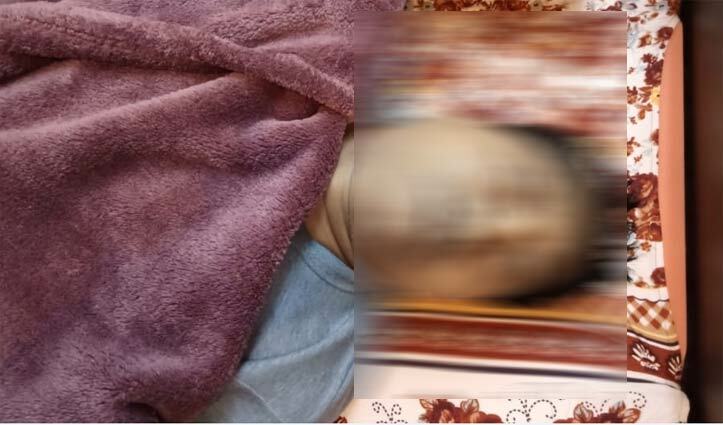 Ajay Singh Gill of Bashla village and his relative Shakti Singh from Saras died on the spot. Whereas Bobby gill was injured and died in IGMC shimla. Bobby is brother of Ajay Singh Gill. Bobby gill was referred to Indira Gandhi medical college. Reason of accident is not yet clear said DSP rohru Madan Kant Sharma. He said dead bodies have been sent for postmartom and reason of accident yet to be identified. Ajay, Shakti Singh and Bobby gill were going from Arhal to Bashla and just one km from their home this sad incident took place. Bobby gill was injured and died in IGMC shimla today .